The C2's smart sound alerts can tell you when your smoke alarm is going off and when your baby is crying. Honeywell introduced a pair of Wi-Fi security cameras to its Lyric line of smart home products earlier this year: We've already reviewed the no-nonsense Honeywell Lyric C1, so this time we take the $170 Honeywell Lyric C2 for a ride. The C2 pretty evenly matches the performance of the C1, with a few more robust features accpimtomg for the higher price. The Lyric C2 sports a totally different look from the Lyric C1. The disc-shaped camera body fits into a hinged ring on the camera’s stand. Whether you place the C2 on tabletop or mount it to a wall or ceiling, the ring can be tilted up and down for the best view angle. The C2 has a 145-degree field of view and can stream and record video in up to 1080p resolution. Like the C1, it features night vision and two-way audio, and it supports automatic activation and deactivation via geofencing. The Lyric C2 can be set on a tabletop or mounted to a wall. Working with the Honeywell Lyric app, the C2 pushes notifications to your phone or via email when it detects motion or sound. In the latter case, it can distinguish between ambient noise and urgent sounds, such as smoke alarms, carbon-monoxide detectors, and crying babies. The camera will identify each as such in its alerts. Video of detected events is recorded to the cloud and is available to view and download for 24 hours. As a fail-safe in the event you lose your Wi-Fi connection, the camera also records to an on-board encrypted 8GB SD card (included). Conversely, if your camera is compromised during a break-in, your forensic video evidence is preserved online. Recorded clips are identified by triggering event in a timeline in the Lyric app. Before you connect the C2 to your wireless network, you must first attach the camera body to its stand. This is easily done by inserting the camera body into the ring portion of the stand and twisting it slightly until it locks in place. After that, you just follow the prompts in the Honeywell Lyric app to get it online. The app’s home screen for the C2 is identical to that for the C1. Toggles that turn on sound and motion alerts and the camera itself on and off are across the top. The live feed is displayed beneath these, and under it are a push-to-talk button to activate the camera’s built-in microphone and a button to take snapshots of live feed. At the very bottom is a scrolling timeline of your event-triggered recorded video. You must drag up to reveal it, and each clip is clearly labeled with the time of the event and type of activity—sound of motion—that triggered it. To view the live feed, you tap the image displayed. Video will stream for 90 seconds. That’s typically plenty of time to see what’s happening at home, but if it’s not, you can just tap the image again for another 90-second stream. I thought the C1’s video quality was a little soft, but the the C2’s--while not tack sharp--is a clear improvement. Colors were accurate, too, and there was little discernible edge distortion from the wide angle. Night vision, which at 10 meters doubles the C1’s range, had excellent contrast. The camera offers three levels of motion sensitivity: low, medium, and high. 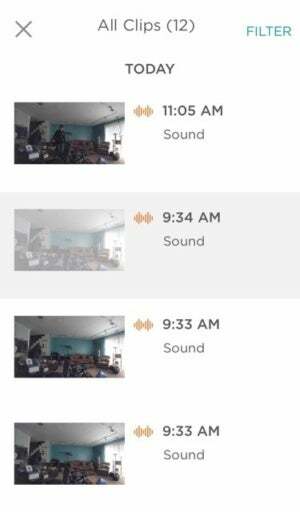 The app defaulted to low, but I found that still set off to many false alerts, so I used the motion zone feature to confine monitoring to only the front and back doors. You can set up to four of these activity zones by moving a resizable bounding box over the appropriate parts of the image. 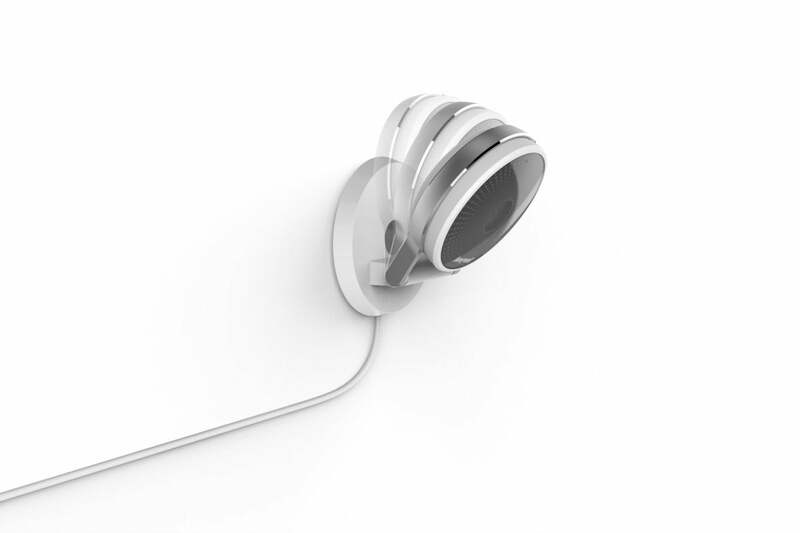 Sound sensitivity can be customized to detect noise from 10 to 100 decibels. Similarly, there are three sensitivity levels for sound detection, allowing he camera to to pick up noises anywhere from 10 to 100 decibels. It’s set to normal out of the box, which lets you hear casual conversation but I found it also picked the air conditioner starting and stopping. 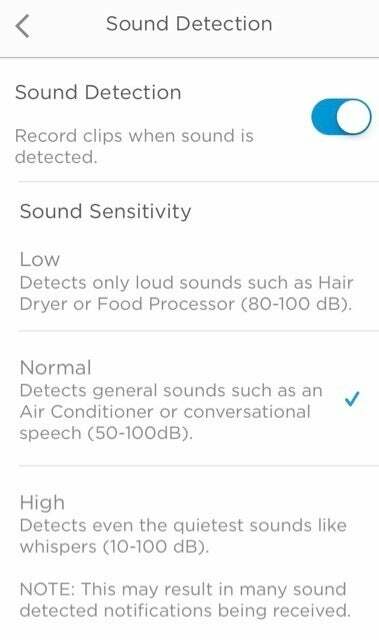 At its highest sensitivity, the camera was able to detect whispering, so it might be worth toggling to this setting when you’re away, but definitely not when you’re using the camera as a baby monitor as even the slightest movement can trigger an alert. 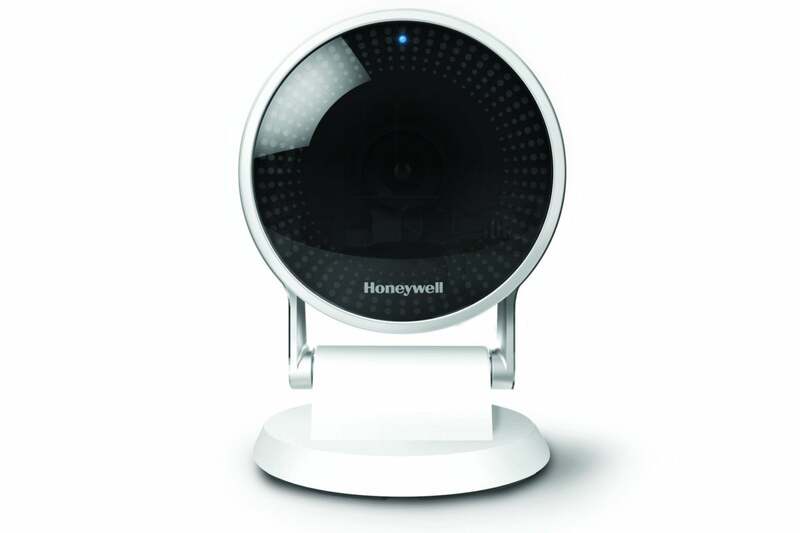 Honeywell delivers another great home security camera with the Lyric C2. Given that the C1 and C2 share many features and perform equally well, choosing one really comes down to your needs. With its wider viewing angle, greater night vision range, and twice as many adjustable alerts zones, the C2 is the better option for monitoring larger rooms. It’s also a good choice if you intend to use it to monitor babies or toddlers as it can distinguish little ones’ crying from other sounds. But whichever you choose,it’s really a win-win decision. While the Lyric C2 is an excellent camera for all-round security use, it's particularly well-suited for larger rooms and baby nurseries.